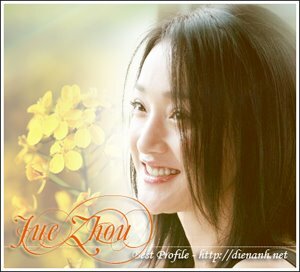 Her movies are not always good, but man, Zhou Xun can act. The petite Mainland dynamo has shined in movies as compelling as Hollywood Hong Kong, as disappointing as The Banquet, and as completely weird as Ming Ming. Zhou adds to her impressive library of performances with The Equation of Love and Death, a slight but still effective little thriller from director Cao Baoping. A tale of obsessive love and criminal schemes gone wrong, the film has great acting and genuine tension, but lacks the narrative or revelations to match. Still, this is an entertaining and even affecting film, in large part due to its excellent leading lady. Li-Mi (Zhou Xun) is a tough little taxi driver pining over her missing boyfriend Fang Wen (TV star Deng Chao), and keeps a book of photos inside her cab to show to her passengers, just in case they've seen him. However, country hicks Huo-Gui and Shui-Tian (Wang Yanhui and Wang Baoqian) secretly steal her photo book when they get into a minor row with Li-Mi over change for a cab ride. They end up dropping the book when they happen by a car collision - and one of the drivers happens to be Fang Wen, who's riding with a mysterious female passenger. He picks up the dropped photo book, and after seeing that it's filled with pictures of himself, he chases the two men, only to lose them on the streets. Clearly up to no good, Huo-Gui and Shui-Tian end up back in Li-Mi's cab, but when she discovers that they're carrying a knife, the situation takes a dangerous turn. Li-Mi ends up as their hostage, while Fang Wen ends up haggling with the police over his car accident. Oddly, he's now going by the name Ma Bing, and ostensibly has no knowledge of Li-Mi or her search for him. What's the real connection between Li-Mi and Ma Bing, what the hell are Huo-Gui and Shui-Tian up to, and will Li-Mi find a way out of her hostage situation? And what's with this title, The Equation of Love and Death? The answer to that last question: not a whole lot, but it's a cool title, isn't it? The film opens with Li-Mi reciting numbers in a seemingly random fashion, and we ultimately learn that they relate to a series of letters sent to her by Fang Wen/Ma Bing. That's the "equation" part. The "love" part comes from Li-Mi's ardent refusal to let Fang Wen go. The "death" part? Well, that would be giving away the movie's plot - though to be honest, the plot doesn't really amount to that much. Some characters do cash in their chips, but their deaths are not really felt or developed as much as they just happen. Director Cao Baoping provides very little overt exposition, and the audience is sometimes forced to follow the characters blindly as they get involved in one mess after the other. The mystery behind the characters and their actions is revealed gradually, though when some of the revelations do come out, they seem perfunctory rather than felt or necessary. What does work is the film's involving forward momentum and the minor details that humanize each character. Sometimes the details feel like tangents, but they manage to give each character weight and dimension, and the actors flesh things out with their performances. The film's acute emotions and sometimes gritty style complement the proceedings nicely, and the actors fill their roles well, appearing as obtuse, desperate, ridiculous or dumb as the story requires. The Equation of Love and Death conveys a heightened tension, effectively getting the audience into Li-Mi's emotions, and making she and the other characters firmly recognizable. Some characters are ultimately forgotten and others are never fully explained, but nearly all make an impression.